This pearl crew cab 4X4 pickup has an automatic transmission and is powered by a 5.3L V8 16V GDI OHV engine. Motivated by that strong motor it gets 12.5 L/100 km in the city and 10.8 L/100 km out on the highway according to Transport Canada. 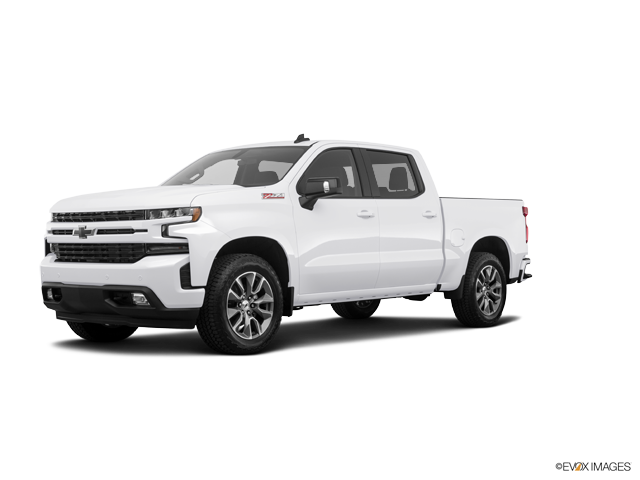 Our Silverado 1500's trim level is RST. 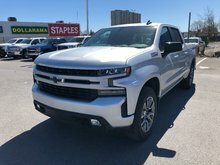 This amazing RST comes ready to rock with active grade braking, LED lighting with fog lamps, EZ lift tailgate, heated power side mirrors, and aluminum wheels. 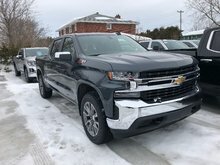 The interior is loaded with an 8 inch touchscreen, voice command, Apple CarPlay and Android Auto compatibility, Bluetooth phone connectivity and streaming, and a USB input to provide infotainment and connectivity while a 4.2 inch Driver Information Centre, Chevrolet Connected Service with OnStar, semi automatic air conditioning, remote starting and keyless entry, steering wheel with audio and cruise controls, Rear view camera, Teen Driver technology, and power windows keep you comfortable. Total rebate of $6050 is reflected in the price. 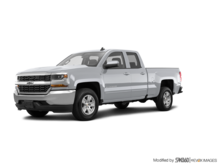 Credit includes $2650 Delivery Allowance and $3400 Non-Stackable Cash Purchase Assist. 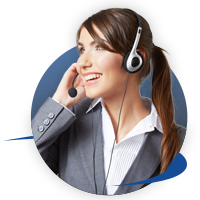 Credit is available in lieu of subvented financing rates. Buy this vehicle now for the lowest bi-weekly payment of $412.77 with $0 down for 84 months @ 5.79% APR O.A.C. ( Plus applicable taxes - All Additional Fees included ). Incentives expire 2019-04-30. See dealer for details. 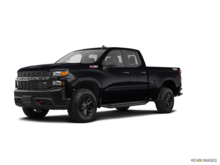 Interested in the 2019 Chevrolet Silverado 1500 RST - $412.77 B/W ?